I know you are here because you are looking for someone that understands the world you are in. You are a Mom that is trying to support your child's learning but your biggest concern is maintain their self esteem and overall health. If this is you, you are at the right place. I know you may not feel like an overcomer or invincible. But you are when you ask yourself what can you do to help your child learn and be successful in their life. So if you are ready to have less stress (because you understand your child better and their learning needs) and more focus (because you have a solid plan to help them make progress) then consider this program. :: to support your child at home with less frustration and tears and to direct others to support your child with confidence. :: to have a clear plan of how to support your child's learning, that works for them! :: to help your child work on their level of understanding, while still focusing on the skills they need to develop (you can do both!) to minimize learning gaps. And what if this came from the ability to plan and empower your child instead of from a place of waiting, blaming and stressing. :: you have tried to help your child but you and your child just end up frustrated. (Some days they seem to know the answers and other days they don't. You can't figure out what is going on, but you do know they are unhappy and frustrated and would rather not go to school). :: You know your child needs support with their learning and school is getting harder for them but when talking with others, they state your child is doing 'ok'. And the supports are minimal. :: You have paid for assessments to find out about your child's learning and they have supported what you felt was true, but now you are left wondering how to help your child to minimize the learning gaps and allow them to show others what they know. :: You have additional supports for your child at school and after school, to help them but you are concerned that you are seeing minimal gains and you're not sure what each person is doing to really support your child. :: You want to work on your child's learning, but you find yourself dealing with other issues such as trying to get your child to sleep at night, getting them ready for school without tears, and emotional issues such as anxiety or anger. And this leaves you feeling alone, frustrated, and worried -- when you can't seem to figure out how to help your child. I know because I've been there. 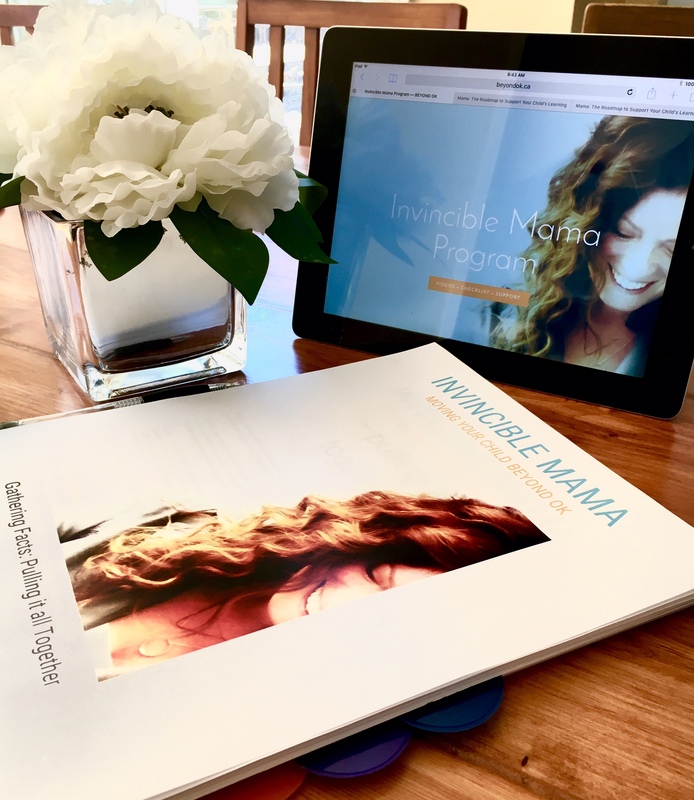 The Invincible Mama Program offers the roadmap or real life steps to figure out how to best support your child's' learning difference.Your child may have dyslexia, a learning disability, ADHD or you might just know they need more support. This is the place to start. Listen and watch the videos, then walk through the workbooks and plan your next step to help you figure out how to empower your child and the way they learn. "This program has helped me integrate a strong support system and tools for my child to thrive instead of survive at school. I was able to break through some major barriers that I didn’t know how to work through. Susan helped me open doors to new possibilities and a fresh mindset to support him at home and school."